Unique decal of a big star surrounded by five shooting stars. 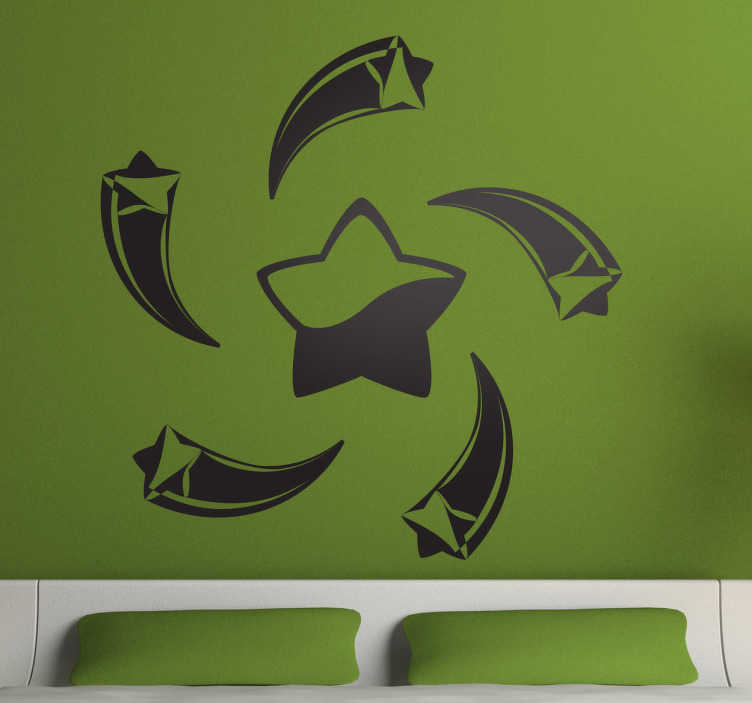 Brilliant design from our collection of star wall stickers to decorate your walls at home. A decorative sticker that your children will love. Make a wish! This sticker would be good for your child´s room, an original sticker that will transform their rooms into something special. Choose the size that best fits the surface where you will place this decal.